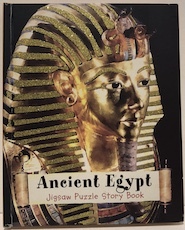 Unused puzzle book of Ancient Egypt with info pages and full colour illustrations for each puzzle. Informative and fun! 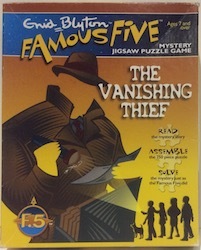 Slight shelf wear to cover edges but puzzles never broken up. Check out our selection of books in the Horrible Histories Series by Terry Deary. 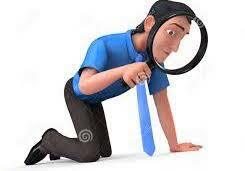 Explore Europe discovering fascinating landmarks and capital cities. 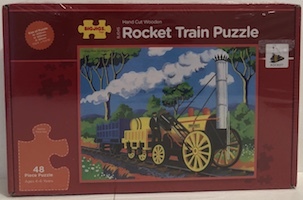 Hand cut wooden puzzle for 4-6 years which encourages dexterity, shape recognition and role play. Great stylised picture of this iconic engine. 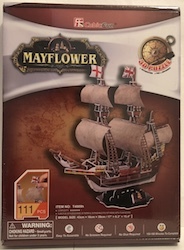 this 3D puzzle of the Mayflower ship is a great family fun challenge for all to do. Build the iconic ship by pushing out the foam pieces from the sheets provided and assemble using the instructions. 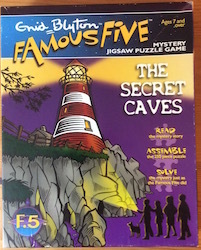 Great mystery to solve based on the Enid Blyton series, if you get stuck just message via Facebook or email us and we'll send a photo of the completed puzzle. Slight shelf wear to box only, all pieces present and stored in new re-sealable bag. 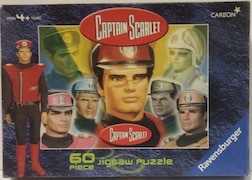 Great montage of Captain Scarlet and his friends in large sized pieces especially for little hands. 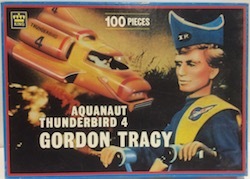 Box in good condition, all pieces present and stored in new re-sealable bag. 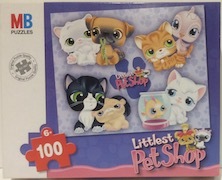 Your cute little favourites from this great cartoon series in a fun puzzle with large pieces for little hands. 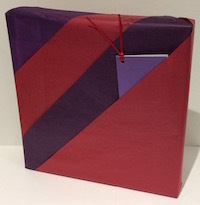 Box in exceptionally good condition, all pieces present and stored in new re-sealable bag. 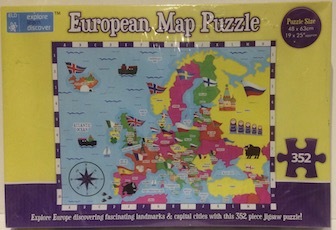 The puzzle inside is almost the same as the picture on the box except that there are 12 differences in the puzzle. Complete the puzzle and find the difference. 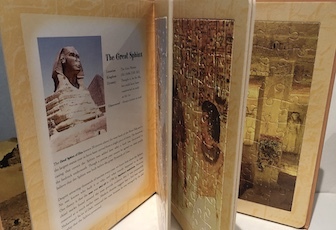 Answer sheet is missing but we have put a photograph of the completed puzzle to check against instead. 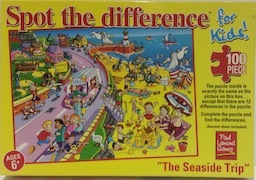 100 piece jigsaw with glittering Barbie! 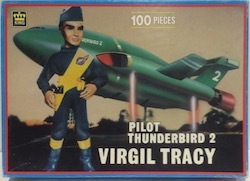 Wonderful puzzle based on the great Barbie film. 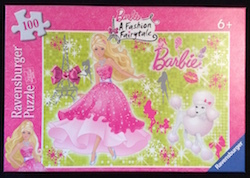 A great gift for any Barbie fan! Finished size 49cm x 36cm (14.25in x 19.33in). Used as new in excellent condition, box as new and all pieces present and stored in new re-sealable bag. 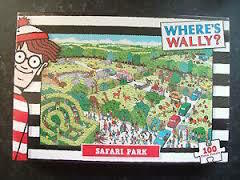 New sealed box, ideal gift for any Wally fan! 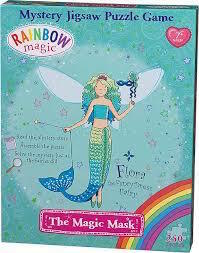 £7.00 with FREE delivery for UK addresses. 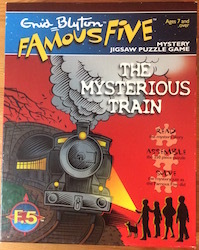 Read the story, construct the jigsaw, solve the mystery! All pieces present and stored in new re-sealable bag, box in excellent condition. 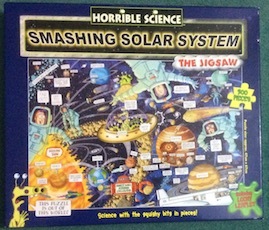 Used as new for £7.00 with FREE delivery for UK addresses. 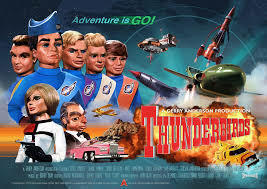 Click on the image below to check out our special feature on Gerry and Sylvia Anderson, creators of Thunderbirds, for more fabulous Thunderbirds iterms.